Charlie Brooker returns soon with his dark and detailed drama, Black Mirror. Music: Halestorm Performs "Freak Like Me"
Music: Halestorm Performs "Love Bites (So Do I)"
TV: NCIS: Los Angeles 4x14 Promo "Kill House"
NCIS: Los Angeles 4x14 "Kill House" - Callen, Sam, Kensi and Deeks go undercover as an elite tactical force in order to investigate an ambush tied to a cartel kingpin with terrorist connections, on NCIS: LOS ANGELES, Tuesday, February 5th on CBS. TV: The Lying Game 2x05 Promo "Much Ado About Everything"
The Lying Game 2x05 "Much Ado About Everything" - Emma and Thayer further their investigation into the twins' birth mother and what Sutton may know about her. Laurel begins to suspect that something is not right with her sister and makes everyone nervous when she starts asking questions. Using ammunition provided by Rebecca, Sutton lashes out at Kristin during what is supposed to be a peaceful Mercer family dinner. TV: NCIS 10x14 Promo "Canary"
NCIS 10x14 "Canary" - The NCIS team takes on a renowned hacker who could hold the key to tracking down the most-wanted cyber-terrorist in the world, on NCIS, Tuesday, February 5th on CBS. TV: Hart of Dixie 2x14 Promo "Take Me Home, Country Roads"
Hart of Dixie 2x14 "Take Me Home, Country Roads" - George (Scott Porter) is given the responsibility of watching Tansy's (guest star Mircea Monroe) most prized possession, her dog, but panics when the dog goes missing. Wade (Wilson Bethel) starts to feel frustrated by the lack of alone time with Zoe (Rachel Bilson), especially when she is focused more on not losing her good status in the town to a new doctor, Jonah (guest star Travis Van Winkle), who also happens to be Brick's (Tim Matheson) nephew. Brick is ready to let the town know about his relationship with Shelby (guest star Laura Bell Bundy), but Lemon (Jaime King) and Magnolia (guest star Claudia Lee) are doing everything they can to get rid of her. Meanwhile, Lavon (Cress Williams) wants to take a chance on a new relationship, but first has to clear the air with one person. Jeremiah Chechik directed the episode written by Carter Covington (#214). TV: Pretty Little Liars 3x18 Promo "Dead to Me"
Pretty Little Liars 3x18 "Dead to Me" - Now that Ali's remains are back with her family, the DiLaurentis' are set to bury her again, giving Aria, Emily, Hanna and Spencer another opportunity to say goodbye to their friend. With everything that has gone on since Ali's disappearance, the girls are divided about going to yet another memorial. Aria, Hanna and Emily are ready for another round of goodbye, if not for them but to also support Jason. Spencer, on the other hand, has had enough and wants nothing to do with the burial. Why keep saying farewell to a girl who wasn't that great of a friend after all? Meanwhile, Emily goes to visit Dr. Sullivan to help with her unresolved feelings about killing Nate, but comes away with much more than expected. TV: Scandal 2x12 Sneak Peek "Truth or Consequences"
Scandal 2x12 "Truth or Consequences" - After discovering the truth about the rigged White House election, the "Gladiators in Suits" realize that a quickly unraveling Olivia may not always wear the white hat. Meanwhile, Mellie is forced to take extreme measures to try and reel Fitz in, on ABC's "Scandal," Thursday, January 31st on ABC. "Truth or Consequences" was written by Peter Noah and directed by Jeannot Szwarc. Music: Gavin DeGraw Performs "Angel Eyes"
Dallas 2x03 "Sins of the Father" - When new evidence mysteriously surfaces pointing to foul play in Tommy's disappearance, Christopher aims to connect Pamela to the crime. J.R. and John Ross maneuver on two fronts to reclaim their birthright, including poisoning one family member against another. Pamela continues to push her father's agenda to gain control of Ewing Energies. As a new member of the family arrives at Southfork, Ann is pushed to the brink by Ryland's sadistic games and finally takes action. TV: The Following 1x03 Promo "The Poet's Fire"
The Following 1x03 "The Poet's Fire" - A new follower is found in Rick (guest star Michael Drayer), who is on a determined path to follow through on Carroll's orders. Hardy (Kevin Bacon) and the FBI attempt to predict Rick's course of revenge, which leads to a surprising outcome. Meanwhile, Paul's (Adan Canto) jealousy over Emma (Valorie Curry) and Jacob's (Nico Tortorella) relationship leads to a breaking point, and the origin of Hardy and Carroll's (James Purefoy) relationship is revealed. TV: Hawaii Five-0 3x15 Promo "Hookman"
TV: Dallas Season 2 Promo "Dallas Is Back"
Backstabbing, greed, seduction, murder, and all that other fun stuff. Dallas is back! Tune in for the two hour premiere Monday January 28th on TNT. TV: Anger Management 2x04 Promo "Charlie's Dad Breaks Bad"
Anger Management 2x04 "Charlie's Dad Breaks Bad" - Charlie's dad falls in with a bad crowd. Written by Eric Weinberg; directed by Bob Koherr. Airs January 31st on FX. Music: Nicki Minaj Performs "Va Va Voom" and "Freedom"
TV: CSI NY 9x14 Promo "White Gold"
CSI NY 9x14 "White Gold" - When a young pizza maker is carjacked, the CSIs must determine what the perpetrators were really after, on CSI: NY, Friday, February 1st on CBS. Written by David Hoselton and directed by Alex Zakrzewski. TV: Blue Bloods 3x13 Promo "Inside Jobs"
Blue Bloods 3x13 "Inside Jobs" - When a man with multiple rat bites is thrown from a moving car, Danny works the case to find out why and who was trying to send a message. Meanwhile, Frank must be diplomatic when dealing with a bigoted radio host who will be broadcasting from New York City, on BLUE BLOODS, Friday, February 1st on CBS. Mary Elizabeth Mastrantonio guest stars as Sophia, a charitable benefactress, and Mark Moses guest stars as a bigoted radio host. TV: Banshee 1x04 Promo "Half Deaf Is Better Than All Dead"
Banshee 1x04 "Half Deaf Is Better Than All Dead" - A botched museum heist in Harrisburg has unintended consequences, as Lucas (Antony Starr), Carrie (Ivana Milicevic) and Job (Hoon Lee) renew their partnership, at least for the moment. Later, after coercing redneck henchman Arno (Kristopher Kling) to offer up incriminating evidence, Lucas and Emmett (Demetrius Grosse) arrest Proctor (Ulrich Thomsen) for Hanson's murder, but are detoured on the way to the jail. Sugar (Frankie Faison) looks for a cut; Kendall (Daniel Ross Owens) gets roughed up; Lucas and Carrie love the ones they're with. TV: Nikita 3x09 Promo "Survival Instincts"
Nikita 3x09 "Survival Instincts" - Ray (guest star Matt Bushell), a rogue agent, kidnaps his girlfriend Kate (guest star Anna Hopkins), so Ryan (Noah Bean) dispatches the team to rescue her. Nikita (Maggie Q) is confused when Michael (Shane West) sends Owen into the field with her instead of going himself. Meanwhile, Sean (Dillon Casey) makes a decision about Alex (Lyndsy Fonseca). Aaron Stanford also stars. John Showalter directed the episode written by Albert Kim (#309). Kelly Brook has been announced as a temporary team captain on Celebrity Juice as pregnant Fearne Cotton goes on maternity leave. Music: Sheryl Crow Performs "Easy"
Music: Sheryl Crow Performs "Shotgun"
TV: NCIS: Los Angeles 4x13 Extended Promo "The Chosen One"
NCIS: Los Angeles 4x13 "The Chosen One" - Callen goes undercover to infiltrate a network of Chechen terrorists who are recruiting foreign fighters to join their cause and planning their next attack in the U.S., on NCIS: LOS ANGELES, Tuesday, January 29th on CBS. TV: Suits 2x13 Promo "The Strong Survive"
Suits 2x13 "The Strong Survive" - Harvey (Gabriel Macht) goes head to head against Robert Zane, Rachel's (Meghan Markle) father, on a gender discrimination case that forces Rachel to confront her complicated relationship with her Dad. TV: Elementary 1x13 Promo "The Red Team"
Elementary 1x13 "The Red Team" - While on suspension from the NYPD, Sherlock investigates a suspicious hit-and-run accident involving a conspiracy theorist. Meanwhile, Watson tries to broker peace between Sherlock and Gregson, on ELEMENTARY, Thursday, January 31st on CBS. TV: The Good Wife 4x13 Extended Promo "The Seven Day Rule"
The Good Wife 4x13 "The Seven Day Rule" - Alicia is conflicted when she's presented with a career-changing offer which carries a large financial risk. Meanwhile, Will and Diane face off against their creditors, and Jordan and Eli disagree over a possible attack on Maddie Hayward's campaign, on THE GOOD WIFE, Sunday, January 27th on CBS. TV: Person of Interest 2x13 Promo "Dead Reckoning"
Person of Interest 2x13 "Dead Reckoning" - Reese is abducted by an old acquaintance planning a massive act of cyber-warfare that could lead to Reese's death, on PERSON OF INTEREST, Thursday, January 31st on CBS. TV: Beauty and the Beast 1x11 Promo "On Thin Ice"
Beauty and the Beast 1x11 "On Thin Ice" - Vincent (Jay Ryan) is torn between his new feelings for Cat (Kristin Kreuk) and his old memories with Alex (guest star Bridget Regan). J.T. (Austin Basis) learns that Evan (Max Brown) is planning to propose a task force to catch the beast and must figure out how to stop him. 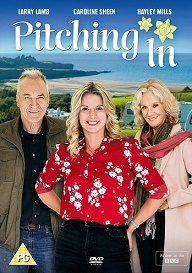 Meanwhile, Tess (Nina Lisandrello) investigates the mysterious skydiving death of the wife of a billionaire adventurer, while Cat remains off duty until she recovers from being shot. Also starring Brian White. Mike Rohl directed the episode written by Blair Singer (#110). TV: The Vampire Diaries 4x12 Extended Promo "A View To A Kill"
Get your first look at FX's upcoming drama series "The Americans" starring Keri Russell and Matthew Rhys. The Americans premieres on Wednesday, January 30 at 10pm on FX. TV: Supernatural 8x12 CHCH Promo "As Time Goes By"
Supernatural 8x12 "As Time Goes By" - Sam (Jared Padalecki) and Dean (Jensen Ackles) are stunned when a man who claims to be Henry Winchester (guest star Gil McKinney), their grandfather, suddenly appears in their hotel room demanding to know where he can find John Winchester. Henry has time-traveled to stop a demon named Abbadon (guest star Alaina Huffman) and was looking for Johnâ€™s help. Through Henry, Sam and Dean learn more about their father and the Winchester blood line. Serge Ladouceur directed the episode written by Adam Glass (#812). Chris Redfield is missing, and his former partner, Jill Valentine, heads out to find him. TV: The Walking Dead 3x09 Promo "The Suicide King"
The Walking Dead 3x09 "The Suicide King" - The Governor is heading to the prison and the group prepares to go to war. It's a fight to the death in this epic new promo for The Walking Dead Season 3's second half. TV: Supernatural 8x12 Sneak Peek "As Time Goes By"
Supernatural 8x12 "As Time Goes By" - Sam (Jared Padalecki) and Dean (Jensen Ackles) are stunned when a man who claims to be Henry Winchester (guest star Gil McKinney), their grandfather, suddenly appears in their hotel room demanding to know where he can find John Winchester. Henry has time-traveled to stop a demon named Abbadon (guest star Alaina Huffman) and was looking for John's help. Through Henry, Sam and Dean learn more about their father and the Winchester blood line. Serge Ladouceur directed the episode written by Adam Glass (#812). TV: Arrow 1x12 Extended Promo "Vertigo"
Arrow 1x12 "Vertigo" - Seth Gabel ("FRINGE") guest stars while Thea faces prison time. Thea (Willa Holland) is in trouble with the police after she gets caught using a drug called "Vertigo." Oliver (Stephen Amell) thinks the only way to keep her out of jail is to find the dealer, a man who goes by the name of "The Count" (guest star Seth Gabel). Oliver turns to McKenna Hall (guest star Janina Gavankar), an old flame and current Vice cop, for help. Meanwhile, Laurel (Katie Cassidy) steps in to defend Thea, and Felicity (guest star Emily Bett Rickards) gives Oliver some disturbing news about Moira (Susanna Thompson). David Ramsey, Colin Donnell and Paul Blackthorne also star. Wendey Stanzler directed the episode written by Wendy Mericle & Ben Sokolowski (#112). TV: The Mentalist 5x13 Extended Promo "The Red Barn"
TV: Emily Owens M.D. 1x12 Promo " Emily and... the Perfect Storm"
Emily Owens M.D. 1x12 " Emily and... the Perfect Storm" - When the hospital is inundated with bus crash victims during a winter storm, Emily (Mamie Gummer) is assigned to run triage in the E.R. During the chaos, Emily is forced to do an emergency skull procedure on a heroic Marine who suddenly collapses. Tyra (Kelly McCreary) bristles at her father's lack of respect for her as a doctor, but they later experiences a breakthrough when they perform an emergency c-section together. Meanwhile, Will (Justin Hartley) and Emily secretly work to help an unexpected patient leaving Cassandra (Aja Naomi King) to question Will's true feelings for Emily. Micah (Michael Rady) finally makes a bold decision in his personal life. Necar Zadegan also stars. Larry Shaw directed the episode written by David Babcock (#111). 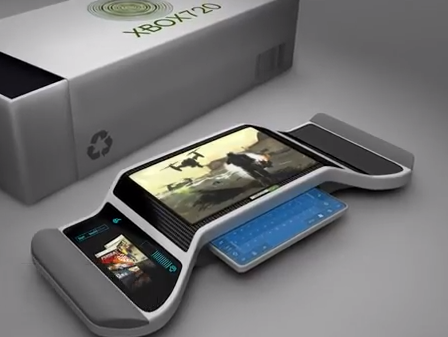 Mark and Martin discuss the recent next-gen Xbox rumours, and whether the Xbox 720 has any chance of keeping up with PC. The Walking Dead 3x09 "The Suicide King" Promo - extended promo with new footage set to the song "Lead Me Home" by Jamie N Commons. Gaming: Gears of War: Judgment's "The Guts of Gears"
Get a preview of Gears of War: Judgment, the most intense Gears game yet, straight from the mouth of Lt. Damon Baird. Gears of War: Judgment releases in North America March 19 2013. TV: Castle 5x13 Promo "Recoil"
Castle 5x13 "Recoil" - While investigating the murder of a young woman, Castle and Beckett find evidence that links her death with Senator William H. Bracken (guest star Jack Coleman returns), the man responsible for Beckett's mother's murder. Determined to finally bring Bracken to justice, Beckett soon realizes that things are far more complicated than they seem, on "Castle," Monday, February 4th (10:01-11:00 p.m., ET) on ABC. TV: Deception 1x04 Promo "One, Two,Three...One, Two, Three"
Deception 1x04 "One, Two,Three...One, Two, Three" - Joanna discovers Julian has something to hide from the night of Vivian's murder. Senator Haverstock gives Edward disturbing news about his past. Meanwhile, Sofia and Robert meet Mia's new boyfriend. John Larroquette guests. TV: Bones 8x13 Promo "The Twist in the Plot"
Bones 8x13 "The Twist in the Plot" - The Jeffersonian team investigates the remains of two bodies that were found at the same burial plot: one of a female cancer patient; the other, the cancer patient's "doula," who was guiding her through her grieving process with the illness. Meanwhile, with a spotlight on the case, Brennan and Booth start discussing their individual choices for after-death arrangements. Also, Daisy Wick (guest star Carla Gallo) returns for her first case after her break-up with Sweets in the all-new "The Twist in the Plot" episode of BONES airing Monday, January 28th on FOX. TV: The Following 1x02 Promo "Chapter Two"
The Following 1x02 "Chapter Two" - Ryan Hardy, Agent Mike Weston and FBI Specialist Debra Parker, who is brought in to lead the investigation into Joe Carroll and his followers, dive deeper into the history of Carroll's psyche. To do so, they enlist the help of Carroll's ex-wife, and Hardy's former love, Claire Matthews (Natalie Zea). Meanwhile, Emma (Valorie Curry), Jacob (Nico Tortorella) and Paul (Adan Canto) keep Claire's son Joey (Kyle Catlett) at a house in the country as they prepare for their next move in the all-new "Chapter Two" episode of THE FOLLOWING airing Monday, January 28th on FOX. TV: Banshee 1x03 Promo "Meet the New Boss"
Banshee 1x03 "Meet the New Boss" - A mixed martial arts title bout is being planned at the local Kinaho Moon Casino, run by tribe leader Benjamin Longshadow and his son Alex. Huge profits are anticipated for Banshee investors, but the enterprise is threatened when the champion arrives and shows off his black-and-blue colors, angering Lucas and especially Siobahn. Will Lucas keep his mouth shut and allow the fight to go on as planned? Private Practice 6x13 "In Which We Say Goodbye" (Series Finale) - ABC's hit drama "Private Practice" will end its run with a special farewell to the beloved doctors of Seaside Health and Wellness. Naomi returns to stand by Addison's side on her wedding day, Cooper struggles with the hardships of being a stay-at-home father, and Violet begins a new project close to her heart, on the Series Finale of "Private Practice". TV: Castle 5x12 Sneak Peek "Death Gone Crazy"
Castle 5x12 "Death Gone Crazy" -- When Beau Randolf, the founder of hit adult video franchise "College Girls Gone Crazy," is murdered, Castle and Beckett are confronted with a lengthy list of husbands, fathers and ex-college girls who all have motive. So to find the killer, they must delve deep into the victim's life, where they find surprises at every turn, on "Castle," Monday, January 21st on ABC. Also in the episode, Alexis starts a video blog, but Castle is not happy that personal and intimate details about her life are being made public. 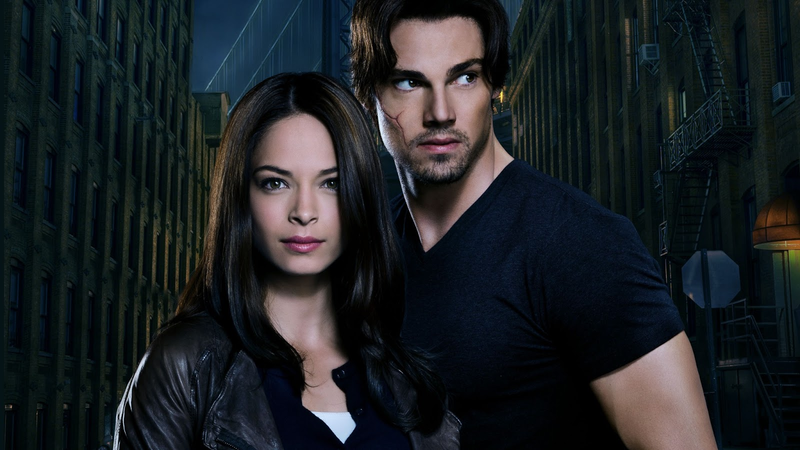 TV: Beauty and the Beast 1x10 Sneak Peek "Seeing Red"
TV: CSI 13x12 Promo "Double Fault"
CSI 13x12 "Double Fault" - The CSIs need to ace the case involving a rising tennis star. Meanwhile, the CSIs are surprised to hear Hodges is engaged to an Italian bombshell, on CSI: CRIME SCENE INVESTIGATION, Wednesday, January 23rd on CBS. Guest stars include 18-time Grand Slam Champion Chris Evert, three-time Grand Slam Champion Lindsay Davenport, announcer and former tennis pro Justin Gimelstob as themselves and model Catrinel Menghia Marlon as Italian bombshell Elisabetta. 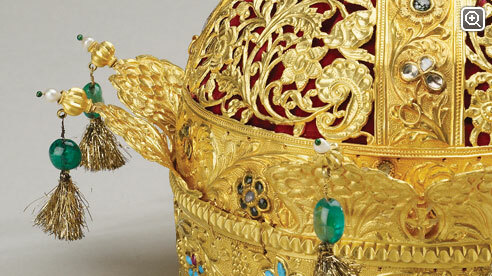 At its peak, the Mughal Empire stretched from Kabul in the northwest and covered most of the South Asian subcontinent. This exhibition is the first to document the entire period, from the 16th to the 19th centuries, through more than 200 exquisite objects. TV: The Vampire Diaries 4x11 Promo "Catch Me If You Can"
The Vampire Diaries 4x11 "Catch Me If You Can" - Jeremy (Steven R. McQueen) is furious when Klaus (Joseph Morgan) tries to control him by putting Matt's (Zach Roerig) life in danger. Damon (Ian Somerhalder) coaches Jeremy as he prepares to take on Klaus' new vampires, but they find that Kol (guest star Nathaniel Buzolic) has beaten them to it. Kol makes it clear that he will stop at nothing to convince everyone to give up the search for the cure. Looking for a new ally, Rebekah (Claire Holt) reminds Stefan (Paul Wesley) that they were once close friends. When Sheriff Forbes (Marguerite MacIntyre) and Mayor Hopkins (guest star Rick Worthy) question Shane (guest star David Alpay) about his involvement in the Founders' Council deaths, Bonnie (Kat Graham) steps in with questions of her own, and Shane's responses push Bonnie to the edge of her powers. Elena (Nina Dobrev) negotiates with Klaus to keep Jeremy safe, but when danger suddenly appears from a totally unexpected enemy, Elena comes up with her own daring plan for Jeremy. John Dahl directed the episode written by Brian Young & Michael Narducci (#411). TV: Supernatural 8x11 Producer's Preview "LARP and the Real Girl"
Felicia Day is back as Queen! Executive Producer Jeremy Carver talks about the perfect combination of LARPing and the quirky Felicia Day. TV: Haven Season 3 Finale Promo (HD) - 3x12 "Reunion" & 3x13 "Thanks for the Memories"
Haven Season 3 Finale (3x12 "Reunion & 3x13 "Thanks for the Memories") - Season three of Syfy's hit series Haven comes to an explosive conclusion when Audrey (Emily Rose), Nathan (Lucas Bryant) and Duke (Eric Balfour) square off against the Bolt Gun Killer -- and Audrey's own life-threatening fate. How I Met Your Mother 8x14 "Ring Up!" guest starring Ashley Benson (from "Pretty Little Liars") - Barney begs Ted to continue seeing his much younger, much wilder girlfriend, even though Ted has nothing in common with her. Meanwhile, Robin must adjust to the power of the bling, on HOW I MET YOUR MOTHER, Monday, Jan. 21st on CBS. TV: 2 Broke Girls 2x14 Promo "And Too Little Sleep"
2 Broke Girls 2x14 "And Too Little Sleep" - The diner gang helps Max and Caroline bake throughout the night in order to fulfill a gigantic cupcake order, on 2 BROKE GIRLS, Monday, January 21st on CBS. Sacred Citadel is a side-scrolling hack and slash action brawler using a 3D engine. You face different opponents that require individual tactics, all staged in a beautiful, colorful art style. Each of the four unique heroes plays differently, having their own combos, special moves, skills, and equipment. Celeb: Katie Prices Ties The Knot For The Third Time? Music: Phillip Phillips Performs "Gone, Gone, Gone"
American Horror Story 2x13 "Madness Ends" (Season Finale) - Johnny sets out to complete his father's work. Lana leads the charge to finally shut down Briarcliff. Written by Tim Minear; directed by Alfonso Gomez-Rejon. Airs January 23, 10:00 pm e/p. Supernatural 8x11 "LARP and the Real Girl" guest starring Felicia Day - Sam (Jared Padalecki) and Dean (Jensen Ackles) investigate the mysterious deaths of two LARPers (Live Action Role Playing) who were playing a game entitled Moondoor. The guys are thrilled to discover the Queen of Moondoor is none other than Charlie (guest star Felicia Day). The three learn that a fairy (guest star Tiffany Dupont) has been commandeered to harm people and the only way to stop her is to find her master. Jeannot Szwarc directed the episode written by Robbie Thompson (#811). TV: Criminal Minds 8x13 Promo "Magnum Opus"
Criminal Minds 8x13 "Magnum Opus" - While Reid copes with a loss in his personal life, the rest of the BAU travels to San Francisco to investigate victims discovered in the Mission District, on CRIMINAL MINDS, Wednesday, January 23rd on CBS. Jamie Luner guest stars as art gallery owner Madison Riley. Subscribe to televisionpromos on YouTube for more Criminal Minds promos in HD! TV: Nashville 1x11 Promo "You Win Again"
Nashville 1x11 "You Win Again" - Edgehill Records celebrates the success of "Wrong Song" with a lavish party attended by Rayna, Juliette and real-life country stars including Brantley Gilbert and Chris Young (who cameo as themselves). But the party gets awkward for Juliette, who brings her mom along, and for Rayna when she's aggressively pursued by Calista (Ming-Na Wen), an exec from a competing record label. Meanwhile Teddy confronts Rayna about his suspicions over her relationship with Liam, Gunnar deals with family issues and Avery gets too comfortable with his newfound success, on "Nashville," Wednesday, January 23rd on ABC. TV: New Girl 2x14 Promo "Pepperwood"
New Girl 2x14 "Pepperwood" - When Nick is convinced that one of Jess' students is hiding a nefarious secret, he goes undercover in her adult night school class. Meanwhile, Winston has an embarrassing encounter with Cece, causing an examination of all the loft-mate's peculiarities in the "Pepperwood" episode of NEW GIRL airing Tuesday, January 22nd on FOX. TV: Arrow 1x11 Promo "Trust But Verify"
For more than half a century readers have journeyed alongside Bilbo Baggins in The Hobbit, and his nephew Frodo in The Lord of the Rings. Bilbo Baggins is a reasonably typical hobbit: fond of sleeping, eating, drinking, parties and presents. However, it is his destiny to travel to the dwarflands in the east, to help slay the dragon Smaug. 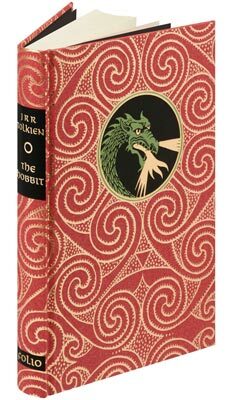 His quest takes him through enchanted forests, spiders' lairs, and under the Misty Mountains, where he comes across the vile Gollum, and tricks him out of his 'Precious' - a ring that makes its bearer invisible, and wields a terrible power of its own. Bound in paper blocked in gold with a design by Francis Mosley. Music: Big Boi featuring Phantogram Performs "CPU"
TV: Hawaii Five-0 3x13 Extended Promo "Olelo Ho'opa'I Make"
"Olelo Ho'opa'I Make*" -- When Chin is kidnapped in the night and dropped in The Middle of Halawa Prison dressed as an inmate, he must fight for his life to escape before the other prisoners recognize him as Five-0, on Hawaii Five-0, on a special day and time following the AFC Championship football game, Sunday, January 20th on CBS. Lindsay Price guest stars. TV: Supernatural 8x10 Producer's Preview "Torn And Frayed"
Crowley has gone on the offense. Executive producer Jeremy Carver talks about what you can expect in Wednesday's all new Supernatural. Casey Wilson reveals upcoming guest stars and who her dream guest would be. Plus, Adam Pally dishes on new romances and a six-way prank! TV: Beauty and the Beast 1x10 Producer's Preview "Seeing Red"
Executive producers Sherri Cooper and Jennifer Levin give us the inside scoop on what could be the ultimate game changer for Vincent's future. The thrilling worlds of "Fringe" come to a mind-blowing end on the two-hour series finale, Friday January 18th on FOX. The series also reaches a milestone 100 episodes! The acclaimed series that has explored the human condition through the prism of parallel universes, unexplainable phenomena and unimaginable threats, reaches a milestone 100th episode and comes to an epic and climatic conclusion. First, the Fringe team engages a desperate plan as Olivia embarks on a dangerous and otherworldly journey into the unknown. Then, Peter, Olivia, Walter, Astrid and Broyles face off against the Observers in one final and extraordinary battle for the fate of mankind. The five-season saga comes to an epic and emotional end in the special two-hour "Liberty/An Enemy of Fate" series finale episode of FRINGE airing Friday, January 18th on FOX. 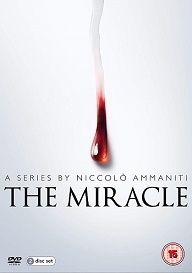 Trapped between two worlds, hell raiser Dante returns in a quest to fulfill his ultimate destiny. From developers Ninja Theory, the creators of PS3 exclusive Heavenly Sword, DmC marries Devil May Cry's ferocious combat with a bold new look and feel. As Dante, you'll use the sword Rebellion and the twin handguns Ebony and Ivory to devastate hordes of hideous demonic foes using the game's intricate but accessible combo-centric gameplay. Available day-and-date on PSN and Blu-ray in North America. When five strangers from an online comic book forum agree to meet after gaining possession of the original manuscript for the cult graphic novel 'The Utopia Experiments', they find themselves pursued by a shadowy organisation known as The Network who are in pursuit of the manuscript - and they are prepared to kill to track it down. Music: OneRepublic Performs "If I Lose Myself"
Music: OneRepublic Performs "Feel Again"
TV: Hawaii Five-0 3x13 Promo "Olelo Ho'opa'i Make"
"Death Gone Crazy" -- When Beau Randolf, the founder of hit adult video franchise "College Girls Gone Crazy," is murdered, Castle and Beckett are confronted with a lengthy list of husbands, fathers and ex-college girls who all have motive. So to find the killer, they must delve deep into the victim's life, where they find surprises at every turn, on "Castle," Monday, January 21st on ABC. Also in the episode, Alexis starts a video blog, but Castle is not happy that personal and intimate details about her life are being made public. Gaming: PS4, Xbox 720 announcements in March? "After School Special" - Appearing unexpectedly at Mystic Falls High, Rebekah (Claire Holt) wastes no time trying to force Stefan (Paul Wesley), Elena (Nina Dobrev) and Caroline (Candice Accola) to answer her questions about the search for a cure, leading to a bombshell piece of information from Elena. When Bonnie's (Kat Graham) father, Rudy Owens (guest star Rick Worthy, 'Supernatural'), accepts the role of Interim Mayor, he makes it a priority to protect his daughter, who isn't at all comfortable with the role he suddenly wants to play in her life. Professor Shane (guest star David Alpay) continues to encourage Bonnie to believe in her powers, but he soon finds himself in danger when he reveals too much to the wrong person. Later, Caroline does her best to comfort Tyler (Michael Trevino) after a violent confrontation. Meanwhile, at the lake house, Damon and Matt (Zach Roerig) train Jeremy (Steven R. McQueen), trying to raise his game as a hunter, but Klaus (Joseph Morgan) is impatient with their progress and intervenes to speed up the process. David Von Ancken directed the episode written by Brett Matthews (#410). TV: Arrow 1x10 Canadian Promo "Burned"
"Burned" - Oliver's (Stephen Amell) confidence is shaken after being beaten by the Dark Archer and he takes a break from being Arrow. However, when Laurel (Katie Cassidy) calls Arrow for help investigating a firefighter's suspicious death, he reluctantly agrees but his hesitance while fighting almost costs him his life. Meanwhile, Tommy (Colin Donnell) throws a benefit for the firefighters and Thea (Willa Holland) tries to lift Moira (Susanna Thompson) out of her depressive state. Eagle Egilsson directed the episode written by Moira Kirland & Ben Sokolowski (#110). 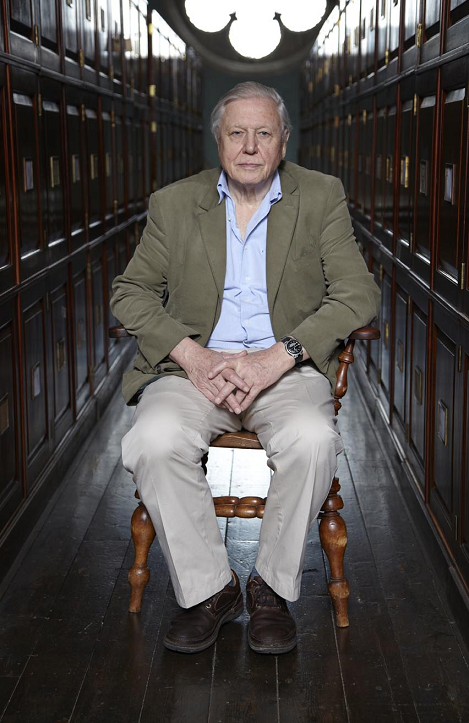 Legendary broadcaster Sir David Attenborough returns to Eden with a brand new and exclusive five-part series that shines a light on some of nature’s most extraordinary evolutionary creatures. In episode one Sir David looks at two creatures whose stretched features have given them an edge in the natural world. The truly bizarre chameleon has an extra-long tongue that helps it catch prey and the giraffe’s neck is so long it is easily able to reach the tops of trees. 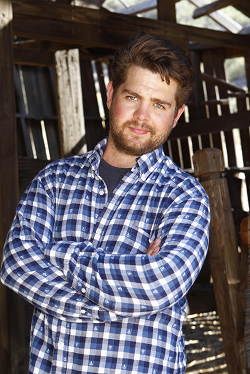 Brand new and exclusive to Watch, Haunted Highway sees Jack Osbourne face his fears and head out into the dark for the scariest road trip of his life. Jack and his friend Dana Workman do their own first-person investigations of the most frightening claims of paranormal activity along America's remote back roads. Fuelled by eyewitness interviews and evidence collected by Jack's state-of-the-art equipment, he and Dana travel alone, self-documenting their harrowing face-to-face encounters with the paranormal. Look out for Jael de Pardo and Devin Marble, who also hit the road looking for things going bump in the night. In the first episode of the series, Jack and Dana go on the hunt for strange creatures are in Utah and Minnesota. 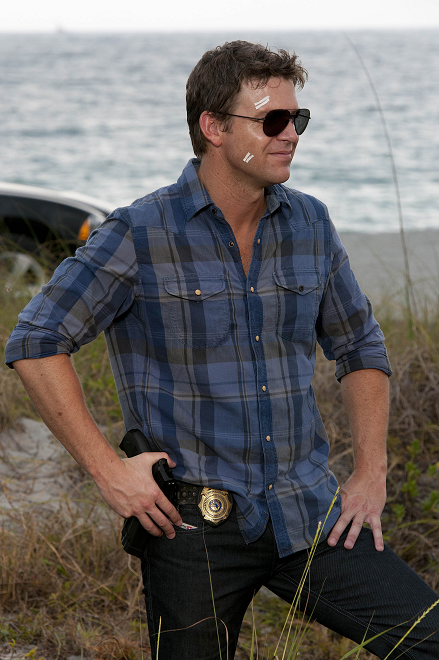 Alibi’s hit US series, The Glades, returns for an all-new and exclusive second series with golf-loving homicide detective Jim Longworth (Matt Passmore). After his enforced relocation from Chicago and more murder cases than he can poke his putter at, it’s safe to say that Jim hasn’t found The Glades to be the quiet life he thought it would be. In the first new episode, the daughter of a Cuban mobster is murdered and Jim must solve the case while preventing a war between rival mob families. Meanwhile, Callie (Kiele Sanchez) prepares for her husband’s release from jail. However, she tells Jim that she wants to be with him. Manus (Michelle Hurd) warns Jim a complaint has been filed regarding his relationship with Callie. This episode of Find My Past goes back in time to the Victorian Era to tell the true story of Charles Dickens. During the nineteenth century Dickens was an international celebrity with journalists camped at his house and fans desperately trying to give him locks of their hair. Ollie Dickens, the author’s great, great, great grandson discovers that his infamous ancestor had a dark secret that was almost exposed by a fatal rail crash in Staplehurst Kent in June 1865. Travelling with him was Nelly Ternan, a little known actress. Her relative Marcus Allen will discover that she was his mistress and their secret affair could have destroyed Dickens’ reputation and the sale of his books. Joy Hillday uncovers her relative Henry Benge’s role in the disaster. Benge was in charge of the team of workmen maintaining the track that fateful day. An official inquiry reveals the tragic consequences of the crash. Yes, Prime Minister returns to office in January after a 24 year hiatus. With a brand new cast and scripted by the original writing team Anthony Jay and Jonathan Lynn, this lauded six part satire starts mid-January on Gold. The new series will see Olivier Award winning David Haig (My Boy Jack/Thin Blue Line/Four Weddings and a Funeral) star as the ultimately powerful but beleaguered Prime Minister Jim Hacker, back in office as PM and leading a coalition government confronting the greatest economic crisis in a generation. Henry Goodman (double Olivier Award winner for Stephen Sondheim's Assassins and for Shylock in The Merchant of Venice) stars alongside David as Jim Hacker’s impenetrably loquacious advisor Sir Humphrey Appleby, Chris Larkin (Master and Commander: The Far Side of the World/Valkyrie) makes up the infamous trio as Principal Private Secretary Bernard Woolley, with Zoe Telford (Sherlock/Ashes to Ashes) appearing as the PM’s personal advisor Claire Sutton and Robbie Coltrane (Harry Potter/Cracker) guest starring as Deputy PM Rory McAlister. Yes, Prime Minister returns in a contemporary setting and unsurprisingly there is trouble afoot for the fraught PM. European economies are going down the toilet, there’s a ‘too good to be true’ energy deal on the table from an unusual source, a leadership crisis with his coalition partners, the threat of a Scottish independence referendum and the greatest moral dilemma he has ever faced. Watch’s brand new and exclusive sci-fi drama continues in fine style this week as Evan (Niall Matter) and Mac (Danny Rahim) investigate a prehistoric sea serpent terrorising the waters near disputed First-Nations territory. Typically though, dealing with a prehistoric sea serpent isn’t very straight forward. Meanwhile, Dylan (Sara Canning) faces a crossroads when Evan recruits her to join his team. Watch’s latest all new and blockbusting fantasy drama series takes one of the most iconic fairytales as its starting point. 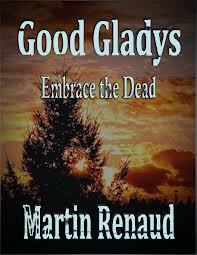 Cat Chandler (Smallville’s Kristin Kreuk) is a smart, no-nonsense homicide detective, haunted by her own tragic past. When she was a teenager, Cat witnessed the murder of her mother at the hands of two gunmen. Cat would have been killed too, but someone – or something – saved her. No one has ever believed her, but she knows it wasn’t an human that attacked the assassins… it was animal. Now a capable police detective working with her equally talented partner, Tess Vargas (Nina Lisandrello), her latest case leads to the discovery fingerprints of a handsome doctor called Vincent Keller (Terra Nova’s Jay Ryan), who was reportedly killed by enemy fire while serving in Afghanistan in 2002. Vincent hides a dark secret – when he’s enraged, he becomes a terrifying beast, unable to control his super-strength and heightened senses. Cat is stunned when Vincent admits he was the ‘animal’ who saved her the night of her mother’s murder. For years he’s spent time hiding in the shadows, watching over Cat and other innocents, but it’s time to step out and help Cat bring criminals to justice. After meeting an Afghanistan veteran, homicide detective Cat Chandler suddenly finds her past and present collide in supernatural, unusual fashion. Cat is touched by the person that lives within the Beast and she knows she has to keep her relationship with Vincent a secret from her boss, Joe Bishop, her partner, Tess, and even from her close friend, Evan Marks the medical examiner. Cat and Vincent are powerfully drawn to one another, but they understand that their connection is extremely dangerous for both of them. Sam Robertson may have been evicted from Celebrity Big Brother, but we can still celebrate what made him famous, so thats why we have got a great competition for you. The talented young actor plays university graduate Flynn in Beaver Falls which is directed and produced by the minds that created the BAFTA® award-winning Skins. 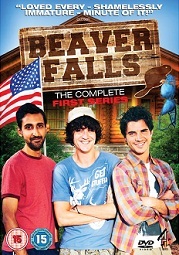 Beaver Falls centres around three ordinary British lads with one last summer of carefree irresponsibility before they face the real world! It follows the mischief the boys get up to as they blag themselves jobs at Beaver Falls, an elite summer camp for the ridiculously tanned and beautiful offspring of California’s rich and powerful. Best friends Flynn, A-Rab and Barry are fresh out of uni and determined to have a summer of carefree irresponsibility before facing the real world. They have blagged, lied and dodged immigration to get ‘the ultimate summer’ jobs at Beaver Falls, an elite American summer camp for the ridiculously beautiful teenage offspring of California’s rich. These boys are all set for a summer to remember… if only they can just get through it without getting found out and deported. 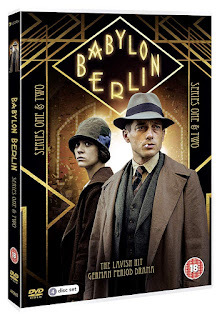 To celebrate the release of Dance Hall on DVD on 21st January we have got a great competition for you. Up for grabs are 5 copy of the film on DVD! Digitally remastered, the first ever DVD release of this lost gem from Ealing Studios features a brand new Making Of featurette. Story by Alexander Mackendrick (Ladykillers, The Man in the White Suit, Whisky Galore!) 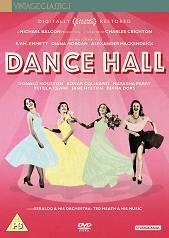 and from the director of The Lavender Hill Mob and The Titfield Thunderbolt, Dance Hall is a romantic melodrama centred round the life and loves of four working-class women who spend their Saturday nights at the Chiswick Palais dancing to the music of Ted Heath’s Big Band. Natasha Parry (Romeo & Juliet, Oh, What A Lovely War!) stars as Eve, whose marriage to Phil (Donald Houston, The Longest Day, Room at the Top) is imperilled when she takes a different partner for an upcoming dance contest. Her reasoning is that Phil is a lousy dancer, but she loves him all the same; Phil, however, is the jealous type, who doesn’t quite see things Eve’s way. Petula Clark (Goodbye Mr Chips, Finian’s Rainbow) plays Georgie, whose ambition is to become a dance champion with her partner, Peter (Douglas Barr, Hue and Cry). Among the other familiar faces floating by in Dance Hall are Bonar Colleano, Diana Dors, Sydney Tafler, Gladys Henson, Dandy Nichols and Jane Hylton. Music: Bruno Mars Performs "Treasure"
TV: Banshee 1x02 Promo "The Rave"
Promo for Banshee 1x02 Promo "The Rave" airing on Cinemax next Friday. TV: CSI NY 9x13 Promo "Nine Thirteen"
"Nine Thirteen" -- The CSIs investigate when a masked man is found at the bottom of a notorious skyscraper known for its history of mysterious deaths. Meanwhile, on her day off, Jo runs into a stranger with a surprising link to her past, on CSI: NY, Friday, January 18th on CBS. TV: Blue Bloods 3x12 Promo "Framed"
TV: NCIS 10x12 Extended Promo "Shiva"
"Shiva" -- In the aftermath of an event that strikes close to home, the NCIS team unites to seek answers and demand justice in order to protect their most vulnerable colleagues, on NCIS, Tuesday, January 15th on CBS. Greg Germann ("Ally McBeal") guest stars as Deputy Director Jerome Craig. TV: Revenge 2x11 Sneak Peek "Sabotage"
"Sabotage" - A fundraiser and wine auction provide the perfect backdrop for Emily and Aiden's next plan of attack, while Victoria strategically plots her next move. Meanwhile, Jack, Declan and Amanda struggle with what lies ahead, on "Revenge," Sunday, January 13th on ABC. Subscribe to televisionpromos on YouTube for more Revenge Season 2 sneak peeks and promos! TV: CSI 13x11 Promo "Dead Air"
"Dead Air" — The CSIs investigate the demise of a prominent news anchor during a live broadcast, on CSI: CRIME SCENE INVESTIGATION, Wednesday, January 16th on CBS. "Zugzwang" -- When Reid discovers that his girlfriend has been kidnapped by her stalker, he and the BAU team band together to find her before it's too late, on CRIMINAL MINDS, Wednesday, January 16th on CBS. Michelle Trachtenberg guest stars as Diane, a genetics research assistant. TV: Castle 5x11 Sneak Peek "Under The Influence"
"Under the Influence" - When an up and coming DJ is killed at a pop star's album release party, Beckett and Castle must dive into the raucous world of New York's music industry. Then, when the investigation leads to a troubled teenager, Esposito takes the kid under his wing, hoping to put him on the right track before it's too late, on "Castle," MONDAY, JANUARY 14 (10:01-11:00 p.m., ET) on ABC. Taylor Cole ("The Glades") guest stars as Regina Cane, an aging pop star who has a shadow cast on her album launch party when the DJ is murdered, and Michael Irby ("Law Abiding Citizen") guests as Shane Winters, a criminal who may have a history with the DJ. In a blast from the past, Tim Allen reunites with Richard Karn, his former sidekick from "Home Improvement," on ABC's "Last Man Standing"! TV: 100th episode of "Z! True Long Island Story"! Quentin Tarantino lost his cool in a Django Unchained interview after being asked a question about violence in movies. Report by Genelle Aldred. Great Night Out is a brand new comedy drama series on ITV1 starting Friday 11th January at 9pm. Each week we follow our four mid-thirties mates as they enjoy a weekly boys' get-together in Stockport. Watch as they help each other through romantic, work and family crises, they invariably create much bigger problems to solve. TV: Scandal 2x11 Promo "A Criminal, a Whore, an Idiot and a Liar"
Cheating death changes a man for better or worse. Scandal 2x11 "A Criminal, a Whore, an Idiot and a Liar" airs next Thursday on ABC! 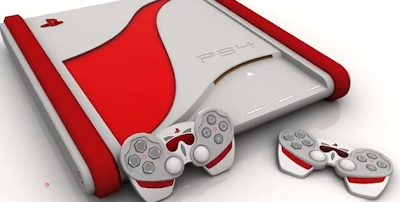 International Data Corporation study states Sony's home console (77 million) passes Microsoft's (76 million) in 2012, despite launching a year later. TV: Grey's Anatomy 9x11 Promo "The End is the Beginning is the End"
"The End is the Beginning is the End" - Meredith, Derek, Cristina and Arizona receive big news regarding the plane crash lawsuit, Richard avoids Catherine's romantic advances and Jackson takes on one of Mark Sloane's old patients. Meanwhile, Derek begins recovery on his hand, on "Grey's Anatomy," Thursday, January 17th on ABC. Subscribe to televisionpromos on YouTube for more Grey's Anatomy Season 9 Promos! Legendary astronaut Buzz Aldrin announces the creation of the LYNX Space Academy. Join now at http://www.lynxapollo.com for your chance to go to space. TV: American Horror Story 2x12 Promo "Continuum"
TV: New Girl 2x13 Promo "A Father's Love"
"A Father's Love" - When Nick's con-man father (guest star Dennis Farina) suddenly reappears, Jess tries her best to fix the two men's relationship, despite Nick's fears that he's being used in another one of his dad's gambling schemes. Meanwhile, Schmidt teams up with Robby to try to win back Cece in the all-new "A Father's Love" episode of NEW GIRL airing Tuesday, January 15th on FOX. TV: Emily Owens M.D. 1x10 Promo "Emily and... the Social Experiment"
"Emily and... the Social Experiment" - After a year long absence, Dr. A.J. Aquino (guest star J.R. Ramirez, "House of Payne") returns to Denver Memorial, but before he can rejoin the staff, the Chief insists that he make peace with Dr. Bandari (Necar Zadegan). Emily (Mamie Gummer) is tasked with treating a patient who claims to be a psychic, and is convinced that her tarot cards predict her own impending death. Elsewhere, Cassandra (Aja Naomi King) and Dr. Bandari treat a patient who needs a lung transplant, but Micah's (Michael Rady) discovery of a new medical issue leaves the patient with a tough decision. Meanwhile, Emily decides to test her theory that Will (Justin Hartley) was jealous of her recent date, so Tyra (Kelly McCreary) offers to teach Emily how to flirt. D.B. Woodside guest stars. Bharat Nalluri directed the episode written by John C. Kelley (#109). IllumiRoom is a proof-of-concept Microsoft Research project designed to push the boundary of living room immersive entertainment by blending our virtual and physical worlds with projected visualizations. The effects in the video are rendered in real time and are captured live -- not special effects added in post processing. Music: David Bowie: Where Are We Now? "Paper Soldiers" -- A distraught widow is suspicious of the circumstances surrounding her Marine husband's last battle and Sam and Callen help to determine if there has been a cover-up. Meanwhile, Hetty summons Operational Psychologist Nate Getz to be her "pawn" and the rest of the NCIS: LA sense another evaluation on the horizon, on NCIS: LOS ANGELES, Tuesday, January 15th on CBS. Peter Cambor, a former series regular from the first season, returns to NCIS: LOS ANGELES to guest star as Operational Psychologist Nate Getz. TV: NCIS 10x12 Promo "Shiva"
TV: Once Upon a Time 2x11 Sneak Peeks "The Outsider"
"The Outsider" -- Mr. Gold finds an unwilling test subject to see if a spell he has concocted will allow him to cross the border of Storybrooke — without losing his memory — and go in search of his son, Bae; Belle stumbles upon a vengeful Hook in the Storybrooke harbor whose main goal is to eradicate Rumplestiltskin; and Mary Margaret and David go house hunting in search of a bigger place to live. Meanwhile, in the fairytale land that was, Belle meets Mulan as the two set out to slay a fearsome beast called the Yaoguai, who has been ravaging the land, on "Once Upon a Time," Sunday, January 13th on ABC. TV: Deception 1x02 Promo "Nothing's Free, Little Girl"
As Joanna (Meagan Good) continues to search for answers to Vivian's rumored drug overdose, many believe Edward (Tate Donovan) murdered Vivian. Robert (Victor Garber) must discreetly deal with a threat to his family while Julian (Wes Brown) goes down a self-destructive path to cope with the loss of his sister. In a world where thought and faith are controlled, Leonardo Da Vinci (Tom Riley) fights to set knowledge free. The tortured genius defies authority and throws himself into the future, forever changing the fate of mankind. TV: How I Met Your Mother 8x13 Promo "Band or DJ"
"Band or DJ" — When Robin learns that Barney never asked her father's permission before proposing, she insists that he seek his approval before announcing their engagement. Meanwhile, Ted keeps his feelings concealed by throwing himself into planning their wedding, on HOW I MET YOUR MOTHER, Monday, January 14th on CBS. TV: Mike and Molly 3x11 Promo "Fish for Breakfast"
"Fish for Breakfast" -- In an effort to boost their chances of getting pregnant, Molly encourages Mike to join her in giving up caffeine and eating healthier, causing them both to have major withdrawals, on MIKE & MOLLY, Monday, January 14th on CBS. TV: Fringe 5x11 Promos "The Boy Must Live"
TV: Castle 5x11 Promo "Under The Influence"
TV: Bunheads 1x12 Promo "Channing Tatum Is a Fine Actor"
"Channing Tatum is a Fine Actor" - Michelle tries to help Truly renegotiate her lease after she is evicted from her shop. Boo asks for Michelle's advice when Carl insists that she meet his parents. GOLDEN BOY is a CBS drama about the meteoric rise of an ambitious cop who becomes the youngest police commissioner in the history of New York City, and the high personal and professional cost he pays to achieve it. As he's interviewed for a story about his career, Walter William Clark, Jr. (Theo James) flashes back on his hard-fought journey from street kid to the most powerful man in law enforcement. After only three years as a beat cop, Clark's heroics on the job make him bold enough to ask for and receive the unheard -- of promotion to Homicide Detective, angering the members of his new department who are eager to see him fail. Clark's disappointed to be partnered with veteran Detective Don Owen (Chi McBride), a gruff lifer just two years shy of retirement. He would rather team with First Grade Detective Christian Arroyo (Kevin Alejandro), the alpha dog in the squad who's just as ambitious as Clark, but without a moral center. Arroyo's partner is Detective Deborah McKenzie (Bonnie Somerville), a tough third-generation cop and the only female detective in the unit. Also on the team is Detective Joe Diaco (Holt McCallany), well-connected with tremendous resources whichClark might find useful. Though laser-focused on moving up the ladder, Clark's soft spot is serving as the sole caregiver and supporter of his sister, Agnes (Stella Maeve), a teenager demonstrating increasingly dangerous behavior. Keenly observant and politically savvy, the Golden Boy bases his career decisions solely on his need to succeed as quickly as possible, and he'll find that his epic journey will be filled with consequences. "Things We Said Today" - Bailey puts her wedding day on hold and continues her efforts to save Adele's life, Cristina and Owen remain undecided about their pending divorce, while Arizona and Callie try to get their spark back. Meanwhile, the hospital becomes inundated with a group of bikers after a horrible accident, on "Grey's Anatomy," Thursday, January 10th on ABC.